why AM I on click? I am raising funds to cover my accommodation, travel, and living expenses in Buenos Aires for the duration of my three-month unpaid summer internship with the Buenos Aires City Government (a breakdown of the expenses can be found below). My name is Karla Drpić and I am a second-year student of International Relations and Modern Languages (Spanish, Portuguese & French) at University of Essex. I have always been passionate about learning languages and understanding global affairs, and studying International Relations at Essex has given me a multi-disciplinary insight into many regions of the world. 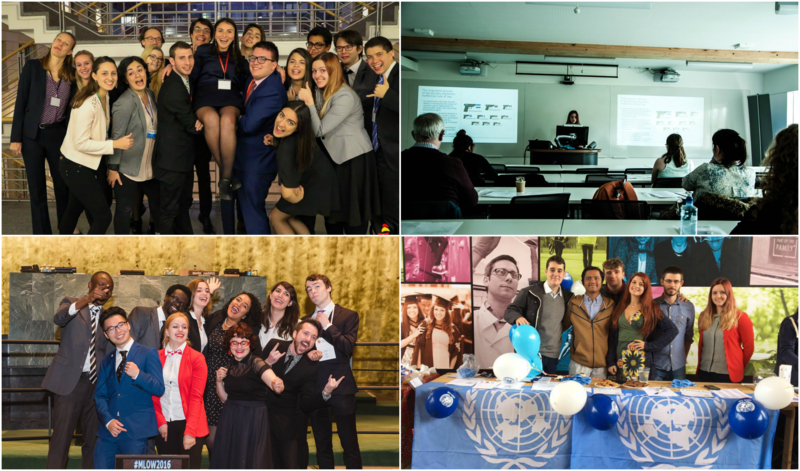 I am always striving for more and trying to make the most out of opportunities that come my way, and just this year I've worked as an Applicant Day Ambassador, Peer Mentor, Secretary of the Model United Nations Society, and transcriber at Colchester Language Academy. Experiencia Buenos Aires (EBAI) is an internship and cultural exchange programme aimed at young talents worldwide, which takes place every year between June and August. EBAI provides outstanding BA and MA students with working knowledge of Spanish and a strong interest in public policy with a great opportunity to enhance their own skills and academic knowledge by working at the Government of the City of Buenos Aires. EBAI is a perfect internship for a student of IR & Modern Languages and a very exciting opportunity for someone who loves Spanish and politics as much as I do. Upon completion, it will also be an invaluable addition to my CV, but for that, I need your help . Any sort of donations would make it easier for me to fully enjoy EBAI and complete the programme without having to worry about financial matters. By supporting me on this journey, you will not only help me in my personal and professional development, but also increase the chances of evoking more interest and publicity for Essex in the upper echelons of one of the most important Latin American cities, especially for the Departments of Government and Language and Linguistics. how AM I going to spend the money? My ultimate target is £2000, which would also cover my living costs in the city (approx. £100 per month) (groceries and other essentials). In case I raise even more than that, I will allocate all extra funds towards covering the expenses of my travel and health insurance plans. As any help is very much appreciated, I will give a little something to everyone who contributes to my project. You can check out which rewards you can get on the right hand side. where can You follow my progress? I will regularly update you on how I'm doing on this page, but you can also check out my LinkedIn for any additional updates. Share this with your friends and colleagues! Even if you're can't donate, simply sharing this project on your Facebook, Twitter, LinkedIn, via email, or any other social media profile you may have would be very helpful and appreciated. The more people know about it, the more likely it is to succeed! Thank you! I will make sure to mention your name in the updates section of this project! Thanks a lot! Aside from a mention in the updates section, you can now expect a postcard from Buenos Aires. Thank you so much! I hope a thank you in the updates section and a small souvenir from Buenos Aires will brighten your day. You're a star! As a reward for your generosity, you will get a shout-out in the updates section and my LinkedIn, a postcard, and a souvenir from Buenos Aires! Wow, thank you! Because you're so generous, you'll get a thank you in the updates section and on my LinkedIn, a postcard and a souvenir, and a personalised thank you note! ¡Mil gracias! You'll get a thank you in the updates section and on my LinkedIn, a postcard, a souvenir, and a list of unmissable places in the city, chosen by yours truly. You're incredible! In addition to a mention in the updates section and on my LinkedIn, a postcard, a souvenir, and a list of unmissable places in Buenos Aires, I will email you a collection of the best photos I've taken in the city.